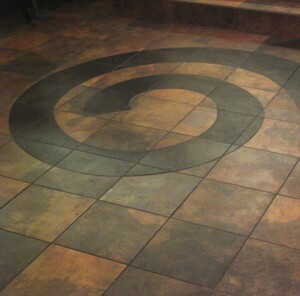 Care and patience are everything you need for installing a beautiful ceramic tile work. Starting from the way you choose the color and size of the tile and ending with the actual installation, you will get a beautiful work to show off to your friends. Necessary tools and materials: paper pad, pencil, measuring tape, level, chalk line, tile cutter, sponges, bucket for clean water, bucket for mixing grout, pre-mix tile adhesive, latex gloves and sponge float. Layout: It’s better to start with a small project first and sketch the surface you want to tile using all the possible measures. 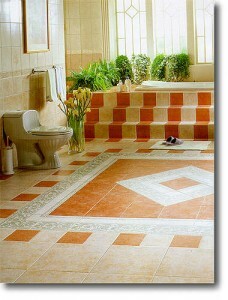 You should give your best for these measurements because tile is expensive and material waste would not be indicated. 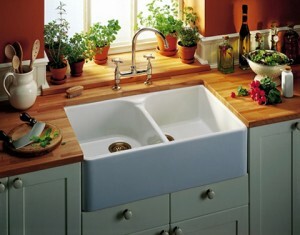 Counter top: The counter top should be made from cement backer that needs to be very secured and solid. 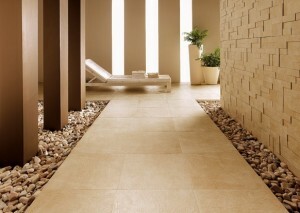 You can find it under many names but used mainly for ceramic tile. For installing tile on a kitchen counter top, you need to establish first the necessary measures and pick out the size that you want to use. 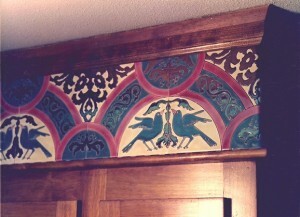 You will find counter tops made from broken tile pieces in order to get a really nice design. You will have the possibility to choose from dozens of sizes and colors which sometimes can make your job a lot harder. 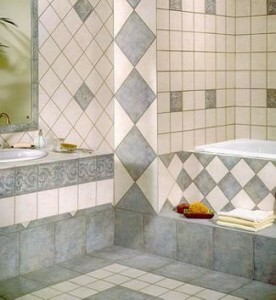 It’s recommended to buy extra tile for the losses that will appear because of cuts and broken pieces. For the adhesive and grout you can always ask the help of a salesperson. Installation: Start the installation by dry laying the pieces the tile from the front edge and all the way to the back of the counter. It’s better to use full pieces of tile and not small pieces because they won’t look good and will be very hard to install. 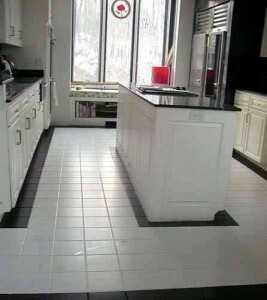 You will need lineal footage of edge tile to fill the space between both ends of the counter top. Until the adhesive used for the tile is completely dried, you should use a temporary support ledger. Start with a small quantity of adhesive until you figure out how much time it takes to install the tile. It’s very complicated and frustrating to remove dried adhesive. After the first 6 tiles have been placed and the adhesive has dried out, you can start installing the rest of the tile. Soon it will become easier to do this but even in these conditions you need to stop after a while and take a close look at your work. You may find tile cutting easy but it’s better to try on a sample piece first. It’s very likely to break a few of them before you succeed because the air bubbles that these ceramic tiles contain make them easier to crack. After you have finished the job clean all your tools carefully because after a while is almost impossible to take the adhesive off. Also excess adhesive from the tiles need to be removed with a damp sponge and the spackle knife. All that you have done needs at least 24 hours to dry completely. 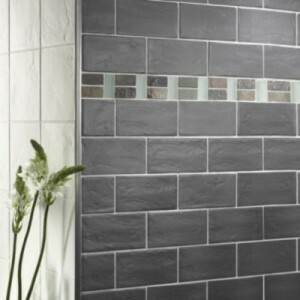 Grouting: You can find grout in sanded and non-sanded form. Prepare it in a bucket or something like this that you can easily throw away after you are done with it. 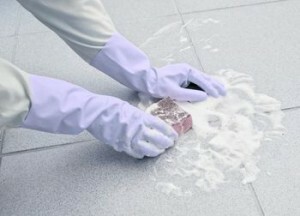 It’s important to protect yourself with gloves at all time because grout can stain your skin. Using the sponge float, you need to push the grout all the way down into the joints, corners and edges. 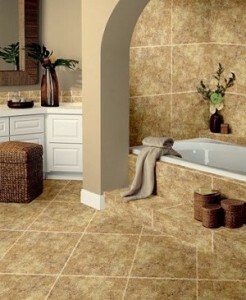 Any excess grout needs to be quickly removed from the surface of the tile before it dries up. This can easily be done with a bucket of clean water and a sponge. It will be necessary to repeat this cleaning part 2 or 3 times but without taking the grout out of the joints. All this work has to be done while the grout is still wet. After 24 hours you can clean the counter top without any problem. Wall tile: You can also install wall tiles on water resistant drywall but the best solution would be cement backer board. 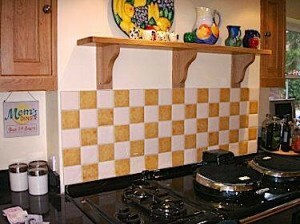 Spacers have an important role for wall tiles because they will keep the tile from sliding down. They have to be kept on the wall only when the adhesive is wet but after it dries you can take them off and use them again when you need. The layout will remain the same as before but the cut pieces need to be at the floor on top of the baseboard. For ceramic tile baseboard, you need to make sure first that the tile pieces you install are level across the whole wall. 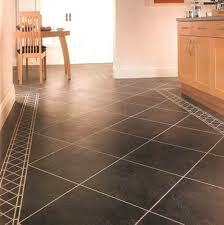 From time to time, take a close look to your work and see if the grout line spaces are correct. Cutting: Cutting small pieces of tile is easy but there will be some problems if you encounter an outlet box. Because there can be parts of material flying away when you cut the tile, it’s important to wear at all time gloves and safety glasses. After you have cut all the tiles and made a test fit while it is dry, you can start installing the tile. In case of circles, the best tool is a grinder or a Dremel tool depending on the size. The grouting part is basically the same as a counter top. You apply it on small areas, remove any haze and wipe away excess grout at the end. If you want, the tiles can be installed at a diagonal to the walls because this will give the impression of a larger area. 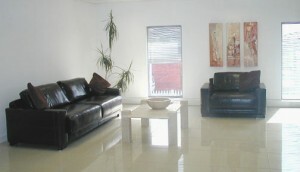 Floors: You will find out that the layout for a floor is different from those of walls and counter tops. The most important area is the center which will be always visible but for the sides it’s no problem if you use different sized pieces of tile. They will get covered by all the cabinets and appliances which will be placed afterwards. Don’t begin the installation before you make some tests with the tile dry in order to be sure it’s exactly what you want to see in the end. 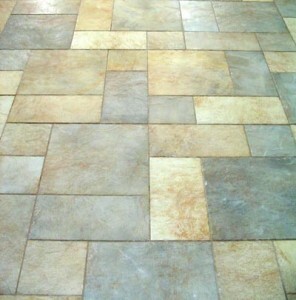 You will need sanded grout for your floors, being much better than the un-sanded one. 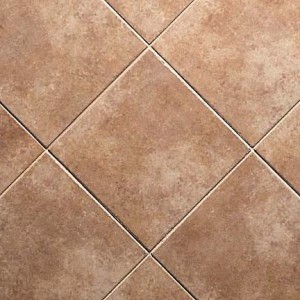 After you complete the entire job, you need to let the finished tile to dry for at least 24 hours or else you can twist a tile and ruin it forever. Cracked tile: Cracked tile tops are a mix of many tile bits and pieces which can be found at any local tile store. If you want a real mosaic in your home, you have to mix lots of colors. 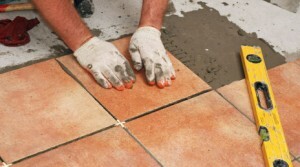 Safety glasses and gloves are required while you strike the tile with a hammer in order to get small pieces. A totally random mosaic can be easily obtained but with a little bit of attention to how the colors are mixed. For a distinct pattern is easier to apply the adhesive directly on the pieces of tile which will keep your layout lines visible and there’s no problem in stopping whenever you want. All the rest of the steps are the same as other tile work. Mosaic tile: Mosaic tile is mostly used by artists as raw material for amazing pieces of work like pottery, walls and floors. Mosaic tiles require a lot of work because you need to use a lot of small pieces. You need safety glasses and gloves to prevent accidents that may lead to injuries. You may save some money if you want by asking at any local store for busted boxes or odd sheets that people may have brought back. These can give you the possibility to work with a wider choice of colors. Hints: You can find a lot of products on the market that can be very helpful in waterproofing your tile grout joints. Most of them are silicone based which requires reapplication from time to time in order to maintain the seal. Joints need to be kept clean so that you won’t have problems for a long time.